For the first phase of the Peel Project rising from the site of the original Peel Precinct. This is a modest 38 home first phase of the wider CGL designed development in partnership with Countryside and LB Brent. After the wildly successful completion of phase 1A, phase 1B is nearing frame completion. And with our fresh planning consent for phase 2A, including an additional 12 homes in two reconfigured buildings, detailed design is well underway. We can’t help looking forward to phase 3 with the potential for a comprehensively reinvigorated townscape response. We are delighted to welcome Alessia to the studio! She has set to work immediately developing the ‘hovering’ scheme in Maidstone with ENGIE and Silver. We are celebrating starting work on our biggest development to date – the 807 home development with Fairview New Homes at Park Royal. Enabling works are underway on a project that will ultimately rise to 27 storeys above the adjacent A40. Work is progressing at pace on the first phase of this ambitious estate regeneration by Countryside and Waltham Forest. Febrice’s splendid marketing suite is in place, and the residential frame is rising to its seventh floor. Popcorn anyone? We are delighted to have been chosen to work with J2 Global and Engie on the visionary transformation of a redundant plot of the Vauxhall car plant next to Luton Airport. Napier Gateway stands to be an exciting new destination for Luton, bringing over 650 new homes for market rent, hotels, leisure facilities and a new commercial hub. FRA is delighted that Architect Aidan Doherty has joined our growing team. Aidan takes the reigns on our Burlington Place project in Fulham, bringing his extensive experience on large scale PRS and mixed tenure development. Having worked for over 18 months to bring the opportunity to the market, FRA are progressing the design of this exciting site along the canal in Hayes. Not far from our recently completed Gatefold project with Be:Here, this project sees the redevelopment of a fading industrial site. 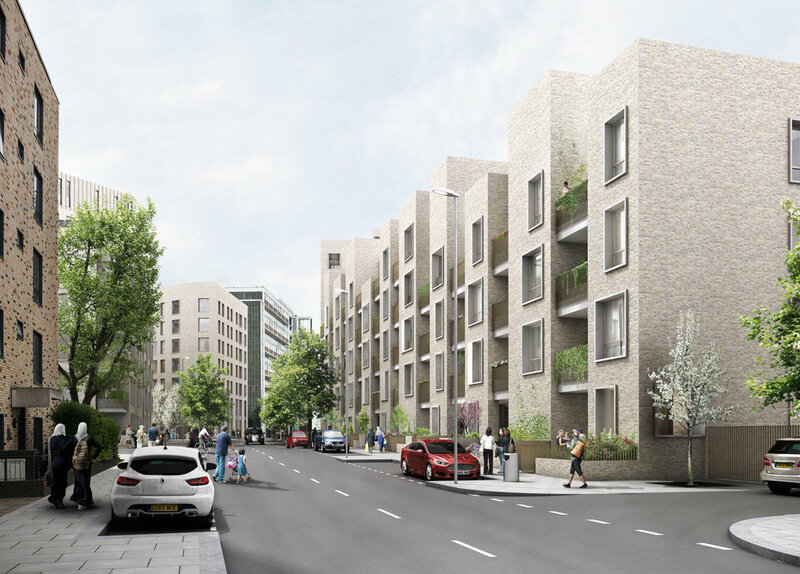 As well as exemplary place-making, the design helps meet the aims and challenges set by the new Mayor in delivering high quality homes at appropriately high density, and takes it’s place in the wider regeneration of the area. Our work in partnering with existing and new clients continues to show that everyone benefits from collaboration. 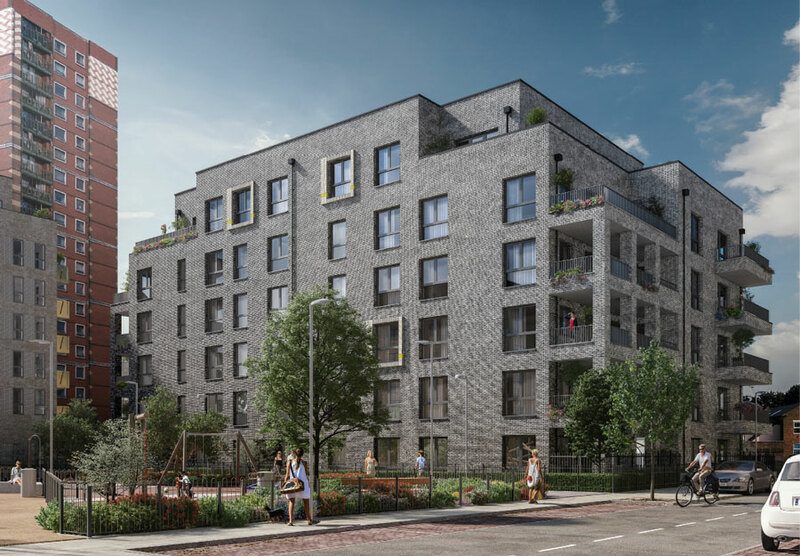 Having supported Keepmoat on various project opportunities and feasibilities we are delighted to be breaking ground on Ensign Court, a 65 home development for London and Quadrant in Wapping. Following the successful completion of phase 1 of Southern Housing Group’s masterplan, Higgins Construction have commenced demolition for the second phase. Working with Cantilever Productions, the project will be monitored through two time-lapse cameras to provide a fascinating record of the build process for this site, and the sites beyond at Sugar House Lane.